My week in Barbados with my family was incredible, full of lots of great food and wonderful company – just the way a holiday should be. 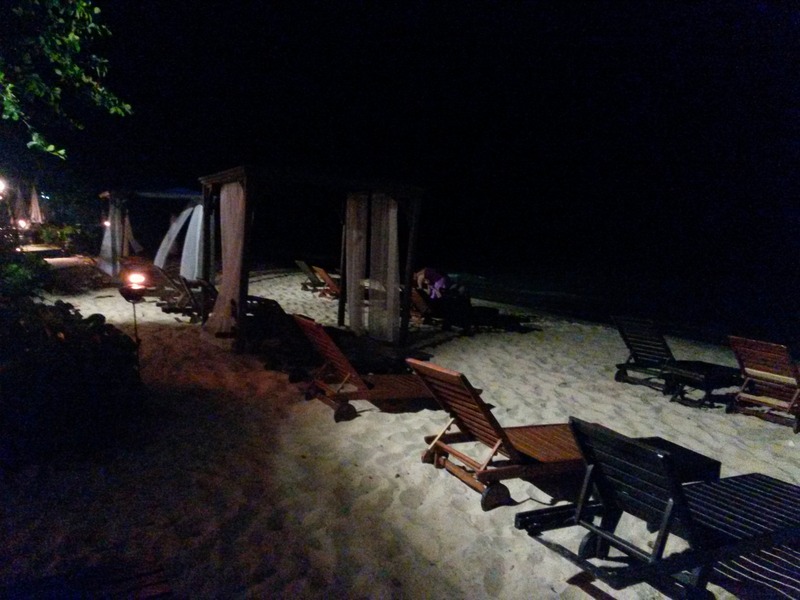 My two highlights of the week are clear though, the first is my Dad’s birthday dinner at Daphne’s Barbados, and the second, a luxurious day at the Sandy Lane Spa with my Mum is sister-in-law. 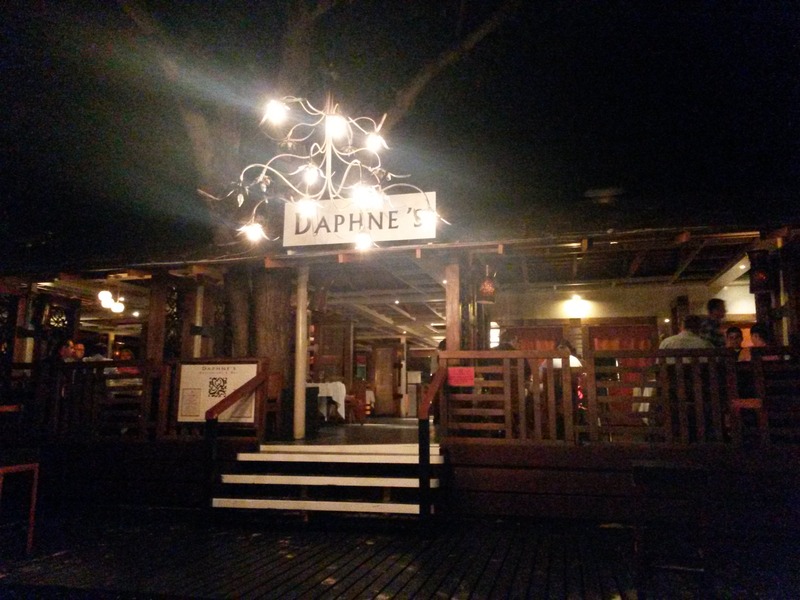 Before booking Daphne’s I did a lot of online research about the different restaurants on the island. Having never been, and not knowing many people who had, I was completely dependent on blogs and reviews, and my internet research definitely came up trumps. Daphne’s Restaurant is part of the Elegant Hotels Group and describes itself to be “the island’s only luxury waterfront Italian dining experience.” On top of the many glowing reviews I read online, I noticed Daphne’s had a full and delicious sounding gluten free menu which would suit my sister-in-law perfectly. As we walked through the restaurant to our table I was not quite prepared for the waterfront scene that awaited us. Our table sat on wooden decking a mere 20ft from the ocean. 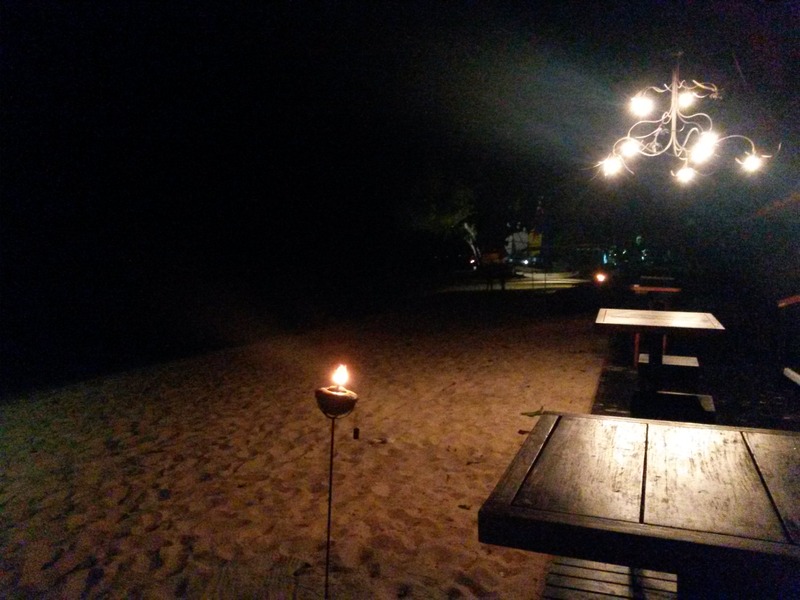 Gorgeous wicker lights illuminated the sand below and chunky, luxurious wooden sun beds and beach chairs were scattered across the beach. It was absolutely breath-taking. By the time we arrived at 7pm the sun had already set, but I can only imagine watching the sunset from one of those beach chairs, cocktail in hand, would be heavenly! The dishes on offer that night were just as impressive. As I had hoped, the gluten free menu went down a treat, so much so, three of our party chose their mains from that menu. 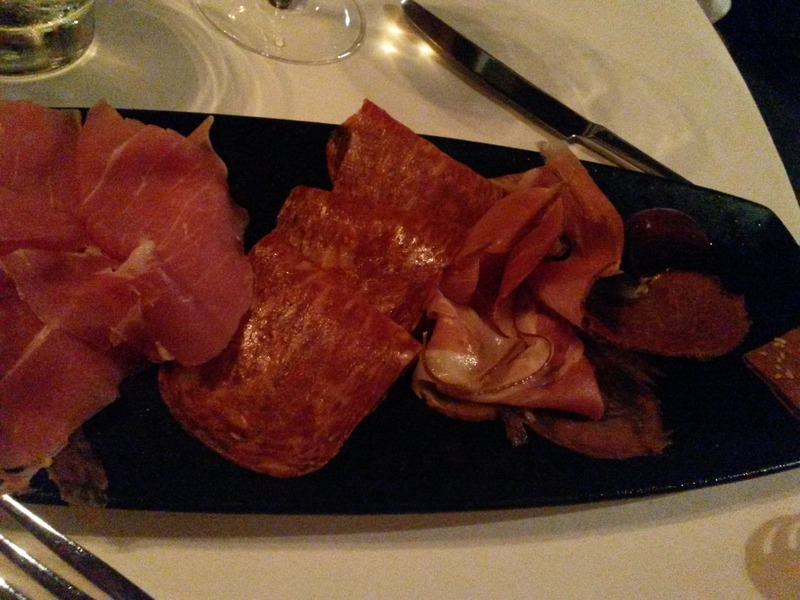 The food at Daphne’s was elegant, classic and delicious. 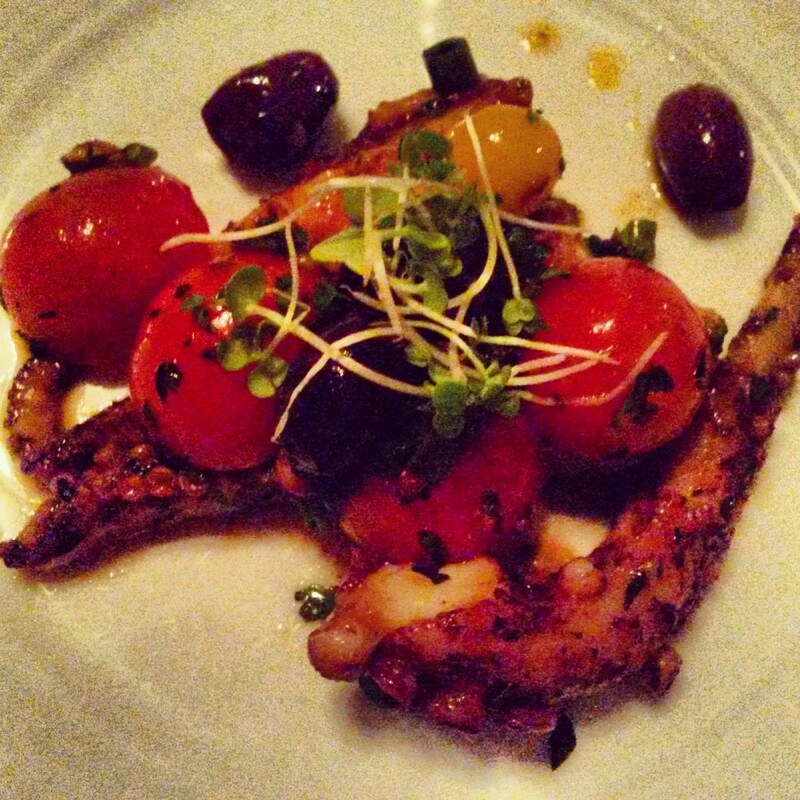 For starters a couple of us chose grilled octopus with cherry tomatoes and olives which was tender and full of flavour. Also on the go we had an antipasto platter of cured Italian meats, pickled onions and parmesan, and a shrimp piri piri dish with a tomato and basil cous cous. Full marks all around from everyone at the table! On to the main course. 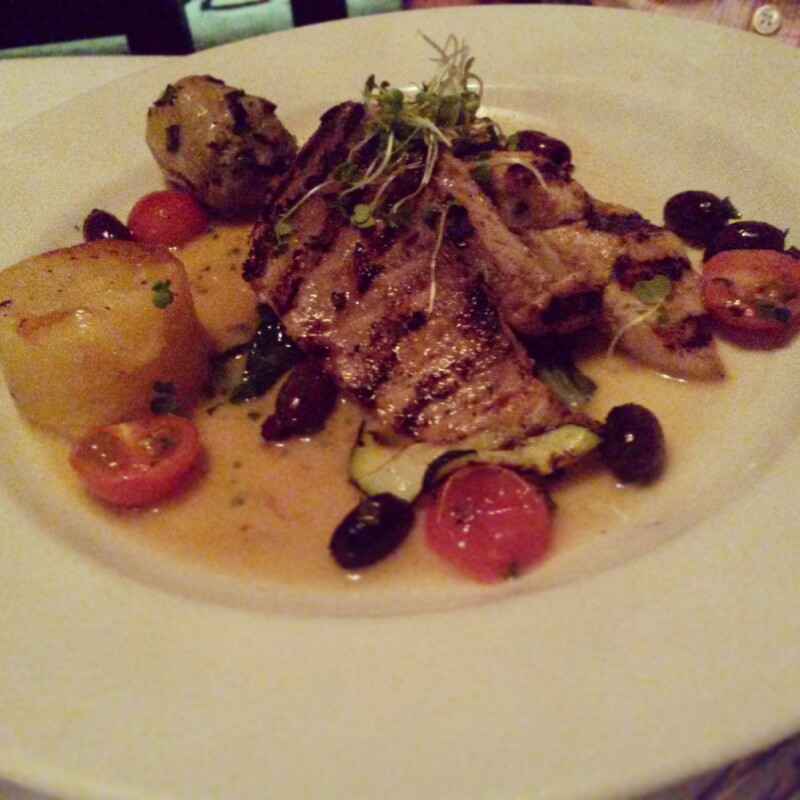 A couple members of our party enjoyed the catch of day which was blacked Mahi Mahi – a meaty, white fish. My brother, who we now consider a true islander having lived on Tortola for 5 years, tells me the Mahi is blacked with a Cajun spice mix. Served with fondant potatoes, wilted greens and a saffron sauce, I could tell from the empty plates it was thoroughly enjoyed. 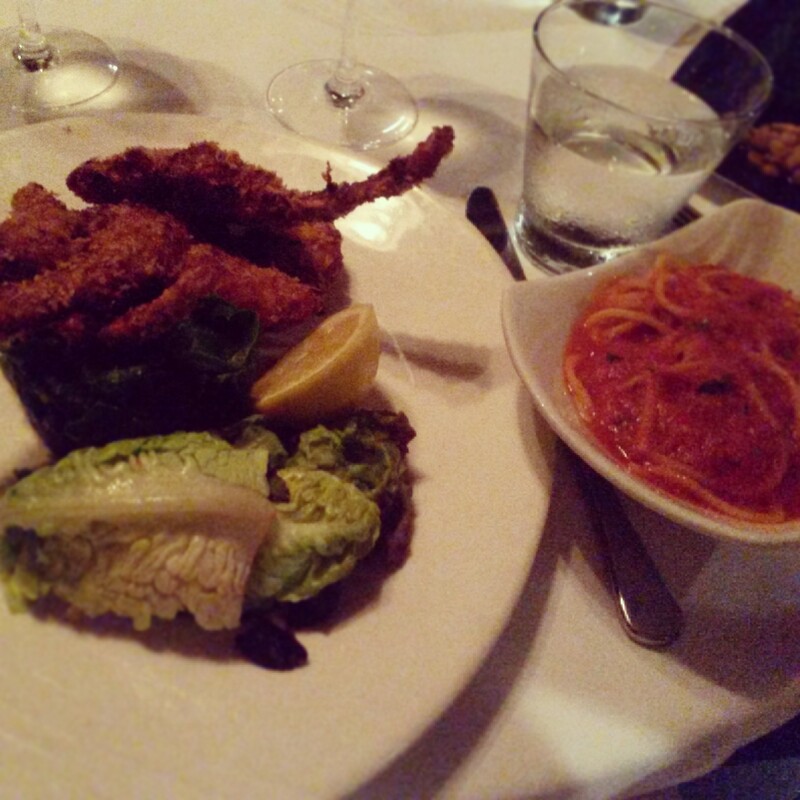 I went for a classic Italian dish, breaded veal cutlets served with a spicy spaghetti arrabiatta. It is quite a simple dish that when done well, like at Daphne’s, is excellent. 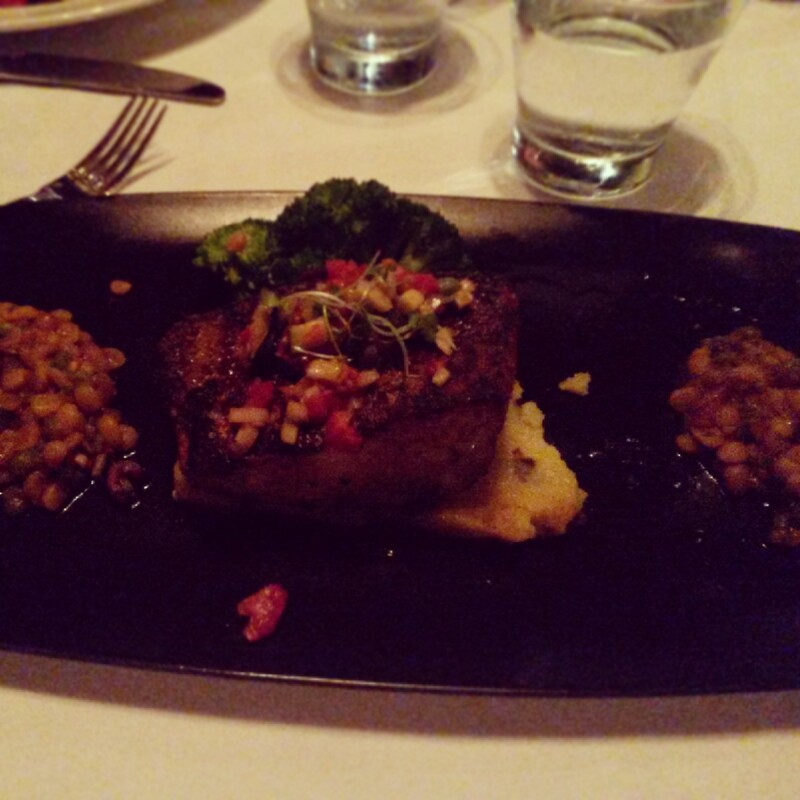 The star of the gluten free menu was the yellowfin tuna, served on a bed of fired cornmeal with cous cous and roasted vegetables. I tried cornbread for the first time a few months ago at The Lockhart and I fell in love! It was a gorgeous accompaniment to the yellowfin tuna – just shows you when done well, gluten free food can be indulgent and delicious. After telling you about such an indulgent dessert, now seems like the perfect time to send you over to my blog post about the awesome Sandy Lane Spa. So… off you go and read about more wonderful things right here.